In 1...2...3. 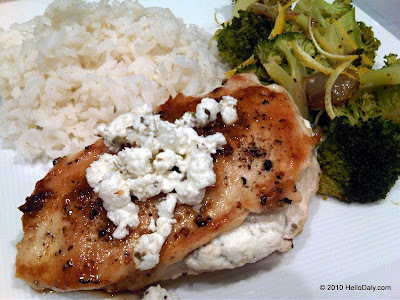 Great easy but flavorful meal in 30 minutes or less! I will post recipes soon. @Joe: I haven't been to Sunflower Market in a while, especially since it's no longer on the way home from work but I will make a point to stop by. It's a great store isn't it? @Anonymous: LOL...whenever the weather is conducive for bikinis, you betcha I will be sunning.